I have always been fascinated by the name of this sweet. Whoever named it Mundhiri Kothu – which translates as ‘Bunch of Cashews’- has been a keen observer of the making of this sweet. 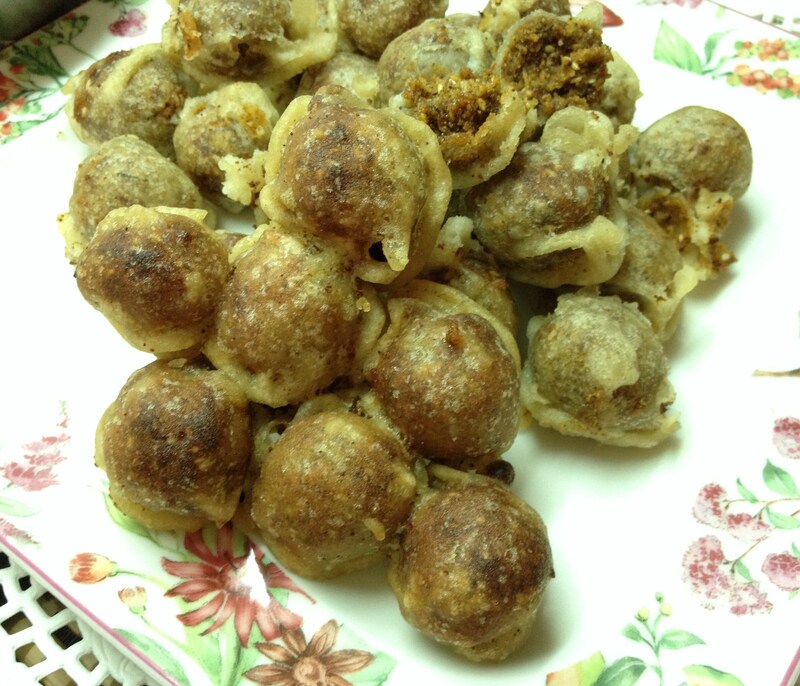 This deep fried snack/sweet comes out like a bunch when taken out of oil. 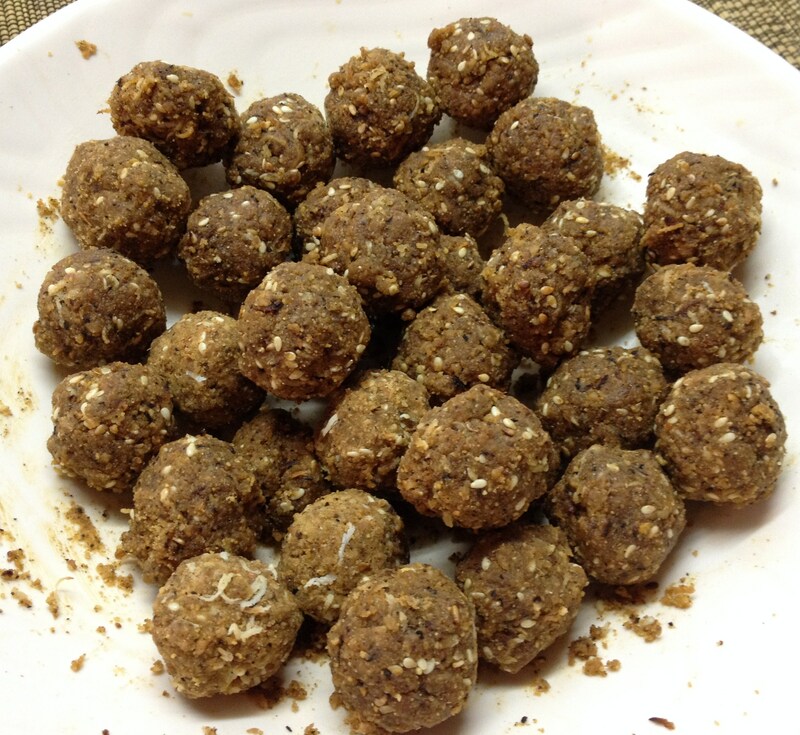 Mundhiri Kothu is a popular sweet from the Kanyakumari region of Tamilnadu.It can be called the healthier cousin of Susiyam which is also known by the names Soyyam/Sugiyan. 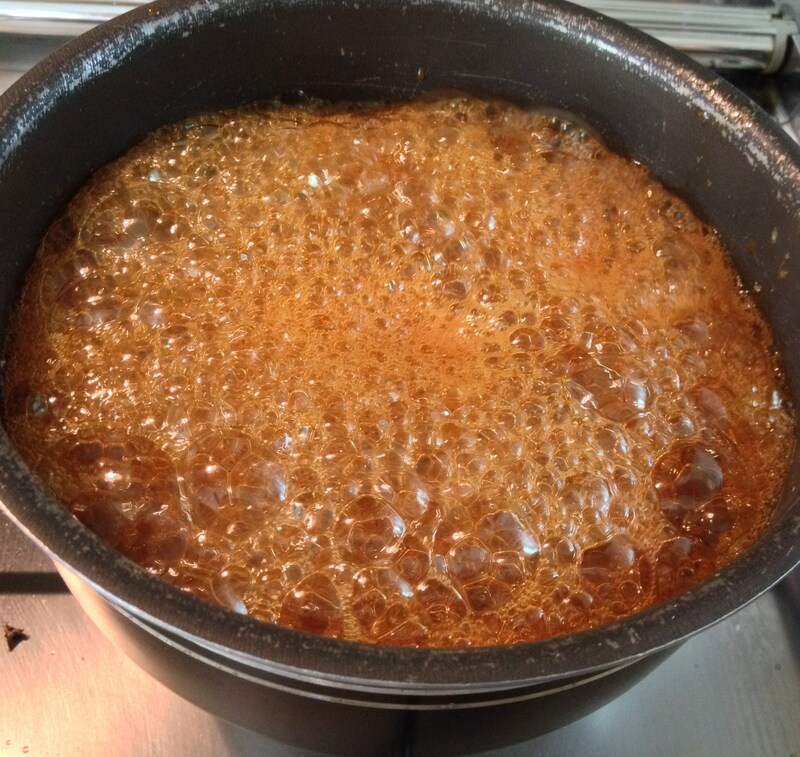 For recipe refer- (https://dosaikal.com/2011/10/18/susiyam-deep-fried-lentil-jaggery-sweet-balls/). Susiyam is made with kadalai paruppu/bengal gram; and the outer dip is prepared with maida/all purpose flour. Whereas, Mundhiri Kothu is made with paasi payaru/green gram and the outer dip is with rice flour. 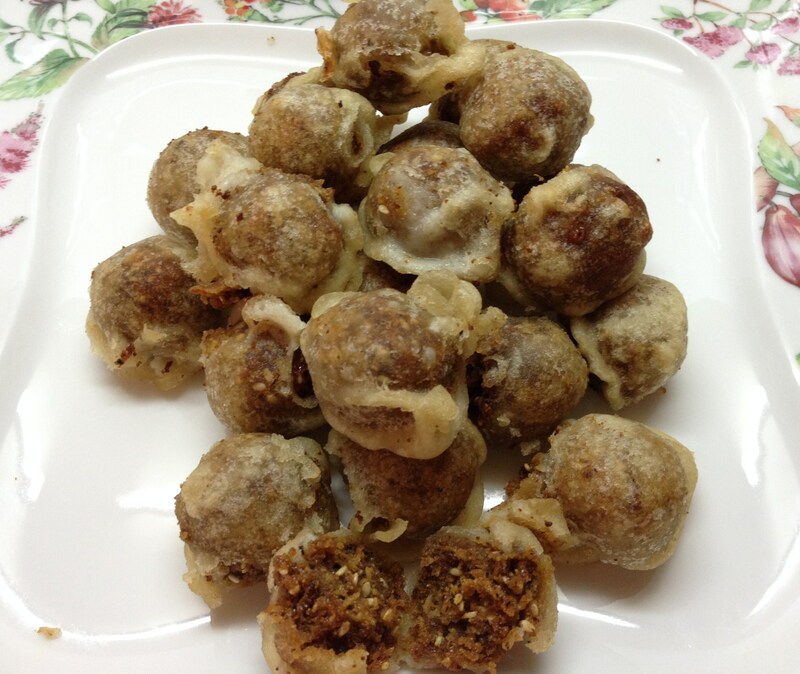 This is a sweet with the best choice of ingredients, except that it is a deep fried snack. The pleasing aroma of roasted green gram combined with other ingredients would surely make one’s kitchen a favorite place to work more! 10. 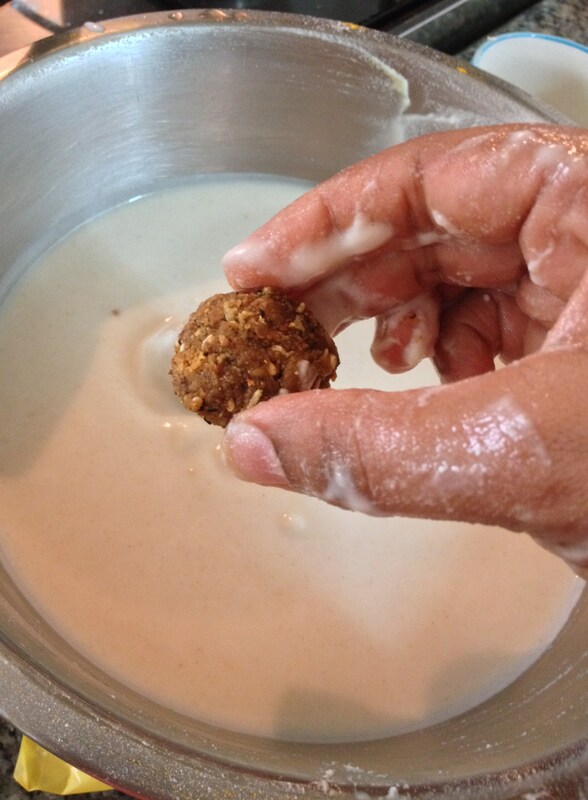 As the cooked mundhiri kothu would be in a bunch, separate each ball after it cools a bit. 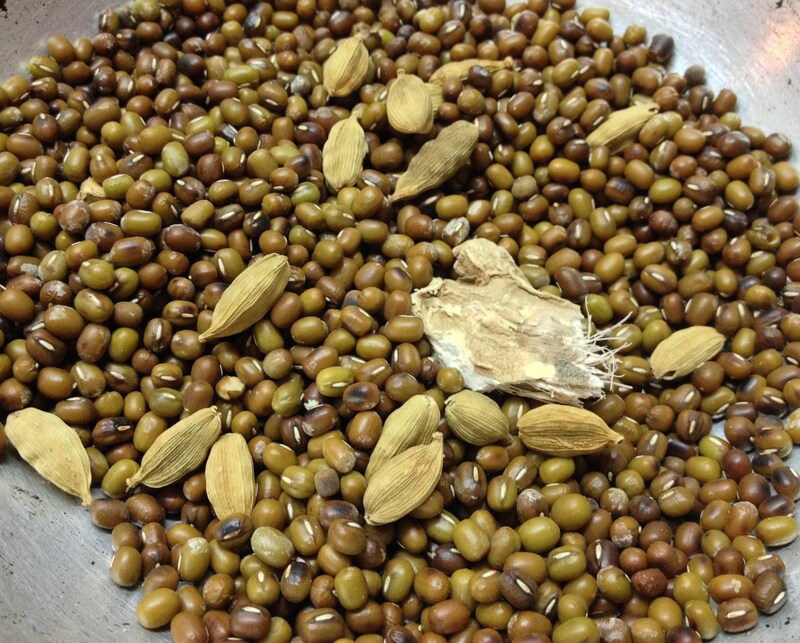 Cardamom is added for flavor and I have added dry ginger for easier digestion; for me – addition of dry ginger makes any jaggery based sweet taste divine. The above can be omitted too. 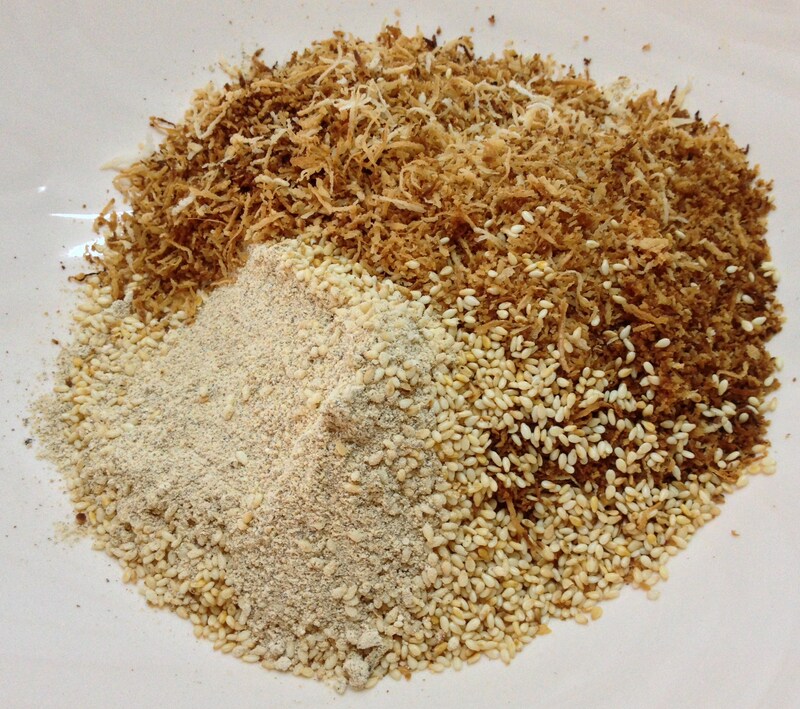 The quantity of grated coconut and sesame seeds can be altered/reduced according to taste preferences. Traditionally, the batter is made by soaking raw rice and grinding it wet into a dosai consistency; But, I have used rice powder. 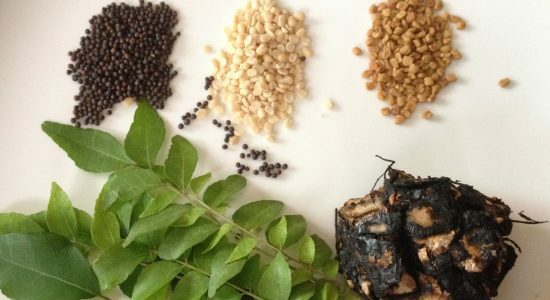 In the above mentioned, soak and grind method, dehusked black gram is also soaked and ground together with rice (50 gms ulundham paruppu/dehusked black gram for 200 gms pachia arisi/raw rice). Turmeric powder is mixed to the batter and hence mundhiri kothu looks yellow.